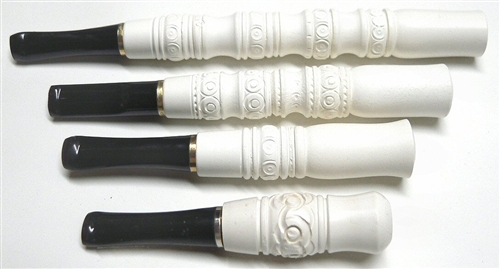 All 4 Sizes Meerschaum Cigarette Holders - Meerschaum acts as a natural filter creating a smooth, one of a kind smoke. 100% satisfaction guaranteed. All holders are handmade from the finest quality Block meerschaum. Each Meerschaum Holder is hand carved so no two are exactly the same.